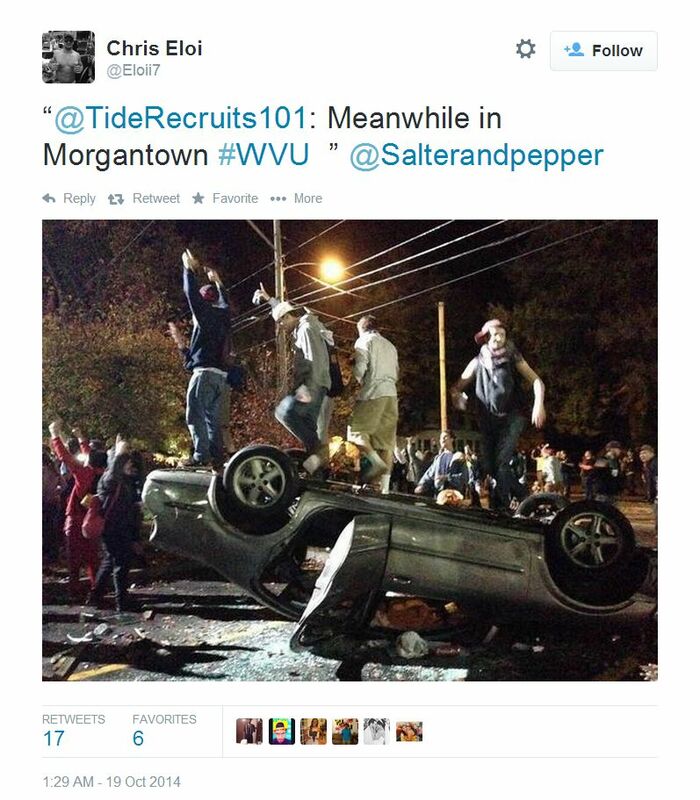 College students in Morgantown, West virginia witnessed an event yesterday that caused them to set fires, pull down streetlights and cause additional property damage worth thousands of dollars. 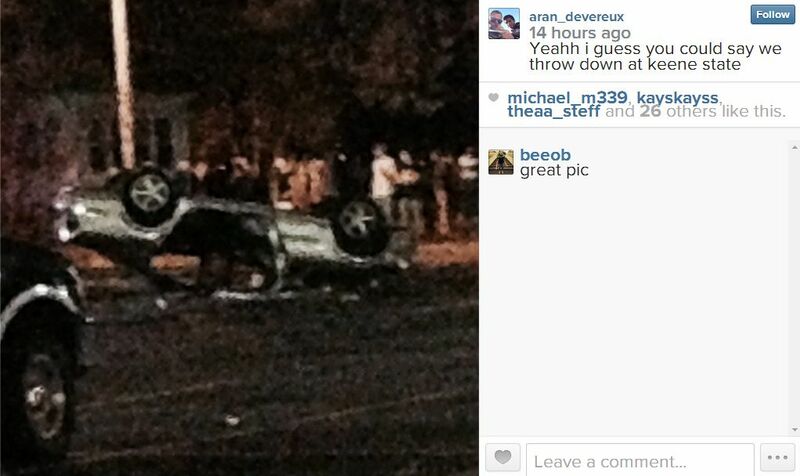 The students also threw bottles and rocks at police officers, who attempted to contain these riots. Pepper spray and tear gas were eventually used to disperse the crowd. What was the catalyzing event? 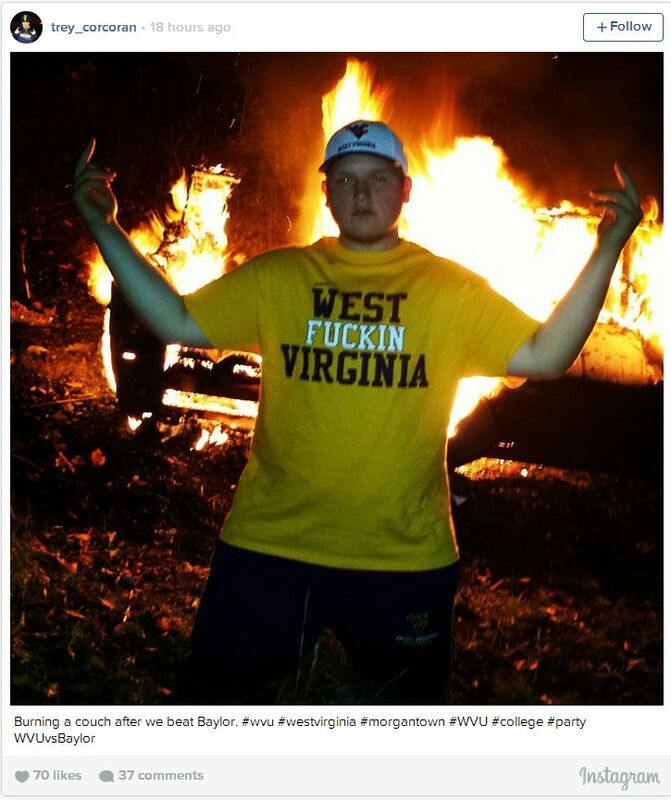 West Virginia University’s football team delivered a 41-27 upset win over Baylor. 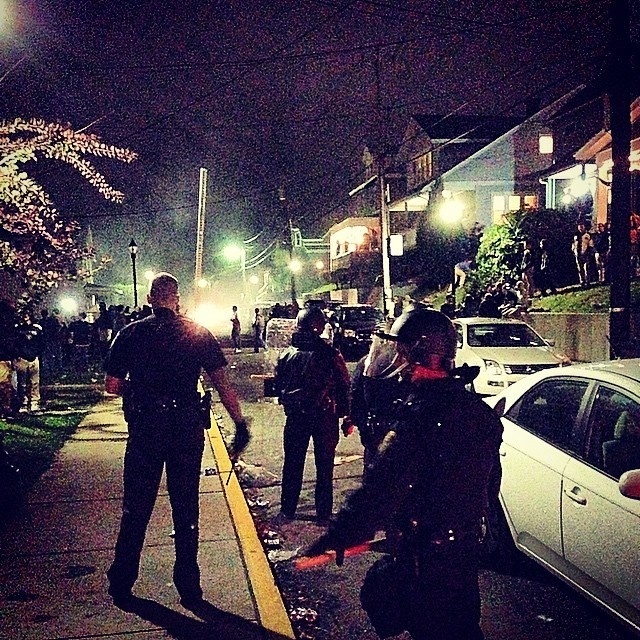 St. Patrick’s Day is also a violently memorable time at WVU. Here’s one more Saturday riot: New Hampshire’s annual Keene Pumpkin Festival turned into an episode of flying bottles and flipped cars yesterday, with more than two dozen people injured. Riot police and extra medical staff were called to deal with the situation. I’m not even sure if the Keene crowd had an excuse for rioting that was anywhere near substantial as a football game victory! 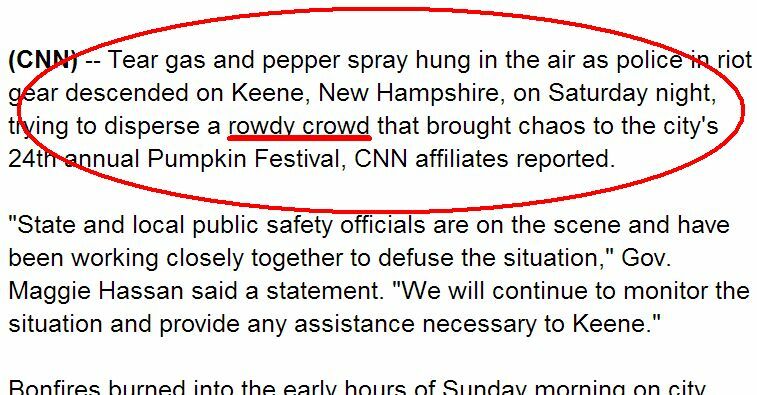 Notice the term that CNN used to describe the Keene rioters—rowdy. I can’t help but reflect on the demonstrations in Ferguson, Missouri over the summer after a police officer shot and killed Michael Brown. CNN never branded the predominantly Black crowds assembled in Ferguson as “rowdy,” but I definitely remember the word “rioters” used. 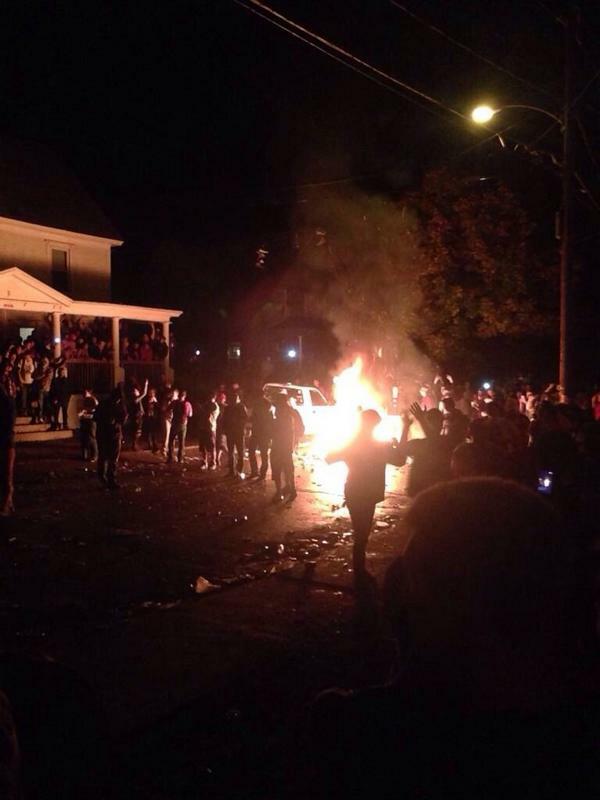 Fox News didn’t spend as much time discussing the riots in Morgantown and Keene as it did when Ferguson was on fire. 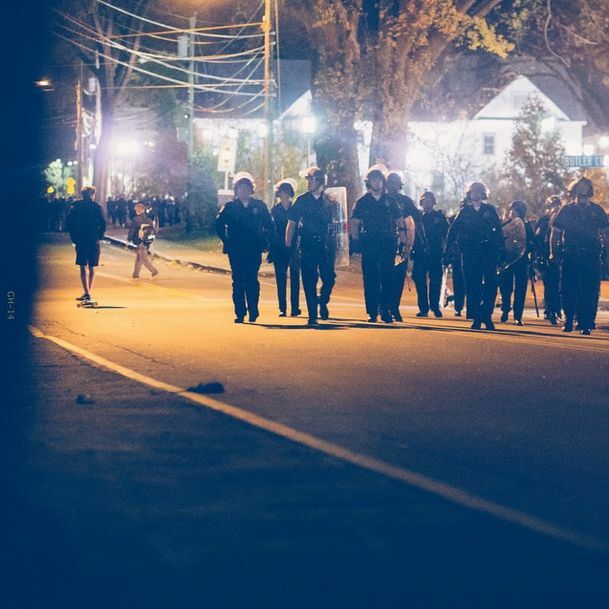 Sure, I get the fact that a police shooting injects plenty of dialogue from all sides, but I didn’t see news commentators lecturing the Keene and Morgantown students about bad behavior. If Bill O’Reilly was on vacation this past weekend, would he furiously end his time off to tell America the truth about the two recent riots, like he did with Ferguson? You have to watch the O’Reilly video, for a more dramatic effect. This entry was posted in Race, Society, Sports and tagged bill o'reilly, ferguson, keene, media coverage, michael brown, missouri, new hampshire, Race, Riot, state college, west virginia university. Bookmark the permalink.